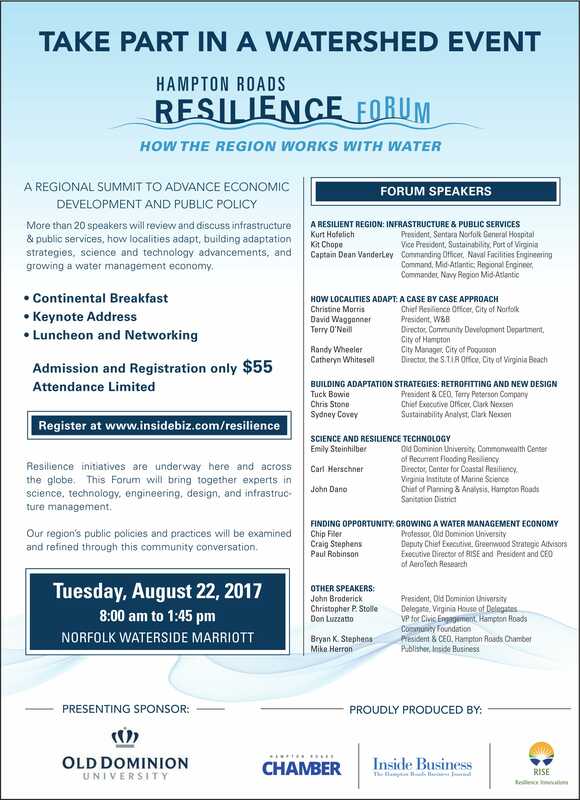 On August 22nd, 2017 the Hampton Roads Resilience Forum will take place at Norfolk Waterside Marriott. Sponsored by Old Dominion University, the forum’s focus is to advance economic development and public policy. CCRFR’s very own, Emily Steinhilber along with several others who’s expertise range from science, technology to infrastructure management are set to speak at the forum. Click Here to register for the event today. Read more about the event on Inside Business.